Celestial jewellery will become your go-to look this season and the next. Inspired by the sparkling night sky the Aurora Bi-Metal Multi Link Bracelet will add a cosmic feel to any party look. 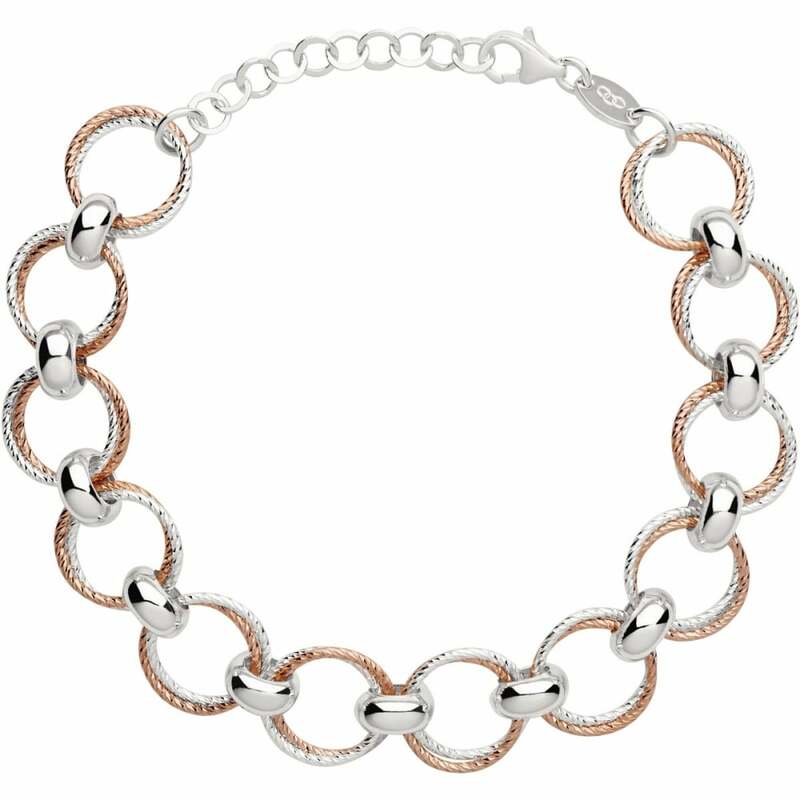 Shimmering rose gold vermeil and sterling silver loops are joined together with contrasting polished links for dazzling effect. Featuring lightweight loops along an adjustable 21cm chain to ensure the perfect fit. Style with matching earrings from the Aurora collection to complete the look. Showing our 2 Links of London Aurora Multi Link Bi-Metal Bracelet reviews with an average rating of Excellent. Would you like to write a review?